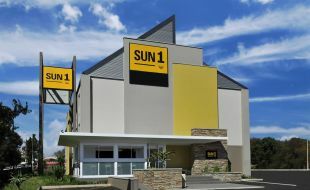 SUN1 is part of Tsogo Sun, South Africa’s premier hospitality and entertainment group. For incredible value and a comfortable stay. SUN1 is just what you need. 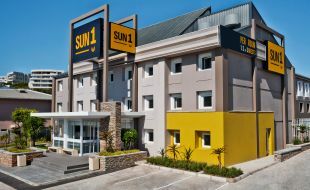 Our 21 SUN1 hotels are centrally located, easy to reach and offer budget-friendly rates across South Africa. For a restful night’s sleep, our hotel rooms have an extra length queen-sized bed and most rooms have a separate single bunk bed – making them ideal for families, a getaway with friends, school groups or a group of travellers sharing. 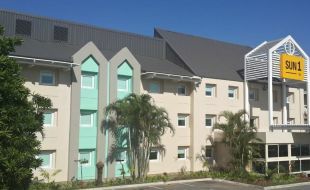 Our rooms are modern with user-friendly design, optimum use of space and all rooms feature LED lighting, air-conditioning, TV (public channels only), shower and working desks with USB plug points - consideration for the environment are all key elements in our approach to budget friendly hospitality. We now offer free property wide WiFi, in addition to convenience of free secure parking and complimentary bottomless coffee during your stay - to ensure that guests can relax and work in an environment that is budget friendly, accessible and functional. 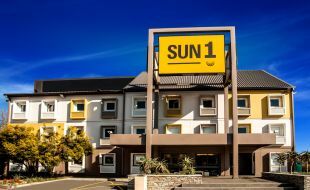 SUN1 is both convenient and practical - the ideal option for travellers seeking comfortable hotel accommodation in South Africa at the cheapest rates. Tsogo Sun is committed to saving water at its properties in the Western Cape, which is currently experiencing a severe drought. Hotels in the group have introduced several measures to save water. Details on these initiatives can be found on our blog. *Certain hotels have not been refurbished yet: Beaufort West, Edenvale, Foreshore, Kimberley, Parow, Richards Bay and Vereeniging. 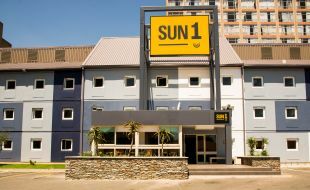 *Parking at SUN1 Durban is charged for per night per vehicle. 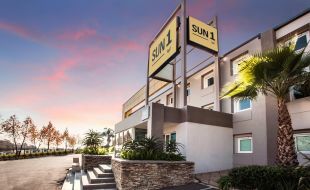 Affordable and convenient, SUN1 Alberton provides comfortable hotel accommodation in Alberton in an environment that is convenient, and affordable. 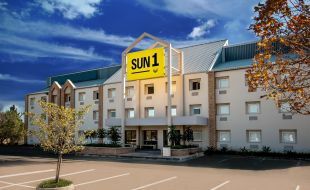 SUN1 Benoni offers the cost conscious traveller convenient and modern hotel accommodation in Benoni, in an environment that is comfortable, and affordable. SUN1 Berea provides modern hotel accommodation in Berea, Johannesburg in an environment that is convenient, comfortable and affordable. 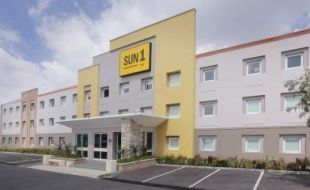 Hotel accommodation at SUN1 Edenvale, in Johannesburg’s eastern suburbs is convenient, comfortable and affordable – ideal for cost conscious travellers. 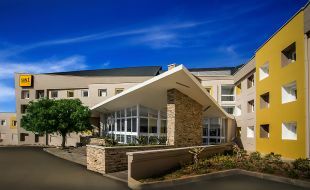 SUN1 Midrand offers guests modern, comfortable hotel accommodation where they can enjoy a good night’s rest at affordable rates. Conveniently located less than 6km from the O. R Tambo International Airport, SUN1 OR Tambo offers guests modern, comfortable hotel accommodation at affordable rates. 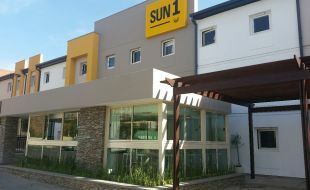 SUN1 Pretoria offers guests modern, comfortable hotel accommodation at affordable rates in Pretoria, South Africa. Conveniently located in the Pretoria CBD. 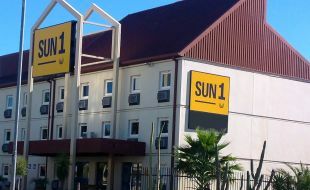 SUN1 Southgate provides comfortable hotel accommodation close to Soccer City that can accommodate up to 3 guests sharing, all at affordable rates in Southgate, Johannesburg. 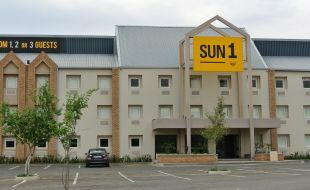 SUN1 Vereeniging provides comfortable hotel accommodation that can accommodate up to 3 guests sharing, all at affordable rates in Vereeniging, Gauteng. 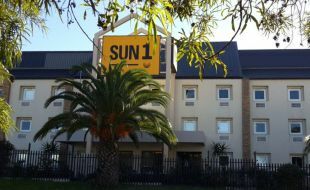 SUN1 Wynberg provides affordable, modern hotel accommodation that can accommodate up to 3 guests sharing, in Wynberg, Gauteng. 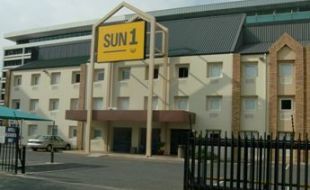 SUN1 Durban offers guests modern, comfortable hotel accommodation in Durban at affordable rates. SUN1 Richards Bay offers comfortable budget hotel accommodation to guests in Richards Bay, Kwa-Zulu Natal. Conveniently located close to the Inkwazi Boardwalk Shopping Centre. SUN1 Beaufort West in the Western Cape offers guests comfortable hotel accommodation where they can enjoy a good night’s rest at affordable rates. SUN1 Foreshore in Cape Town is within walking distance of Cape Town’s CBD and offers guests comfortable hotel accommodation where they can enjoy a good night’s rest. 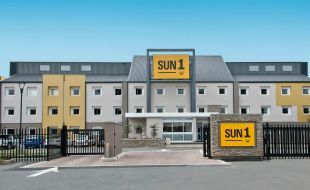 SUN1 Milnerton in Cape Town offers guests modern, comfortable hotel accommodation where they can enjoy a good night’s rest at affordable rates. 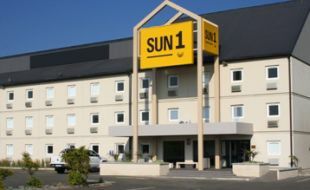 In close proximity to Cape Town International Airport, SUN1 Parow offers guests comfortable hotel accommodation where they can enjoy a good night’s rest at affordable rates. 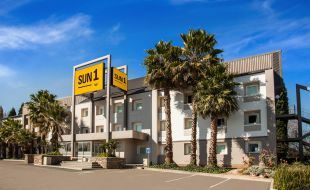 Conveniently located close to the beach, SUN1 Port Elizabeth provides modern hotel accommodation in an environment that is comfortable, convenient and functional. 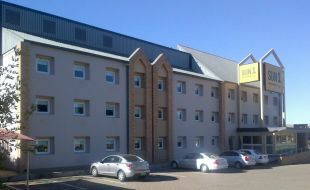 Budget hotel accommodation at SUN1 Nelspruit, in Mpumalanga is convenient, comfortable and affordable. Ideal for cost conscious travellers. 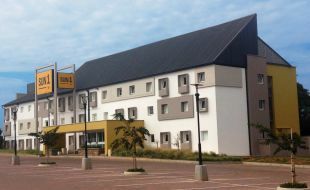 SUN1 Witbank, in Emalahleni offers convenient, modern and affordable hotel accommodation for travellers who are budget conscious. 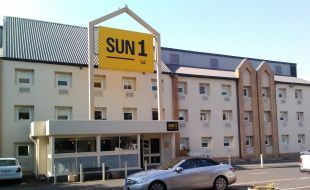 Hotel accommodation at SUN1 Bloemfontein is convenient, comfortable and affordable – ideal for cost conscious travellers. 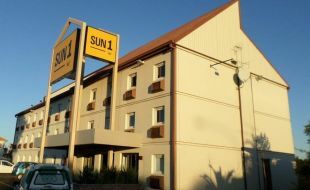 SUN1 Kimberley provides modern, comfortable hotel accommodation that can accommodate up to 3 guests sharing, all at affordable rates in Kimberley, Northern Cape.